If you love your peppers sweet, then there are none better than the gypsy pepper. There’s a sugary sweetness here, almost floral, not shocking since the gypsy is a no-heat sweet pepper, but surprising for its intensity as the fruits mature. Gypsies, with their thin skin, are perfect frying peppers, though the walls are thick enough for stuffing, too. There’s a visual charm to the gypsy, as well, as the peppers take on a hodgepodge of mixed flower-like colors as they age. They look exceptional in a landscaped edible garden or container. 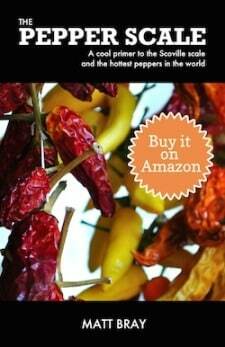 How hot are gypsy peppers? And how sweet is sweet? 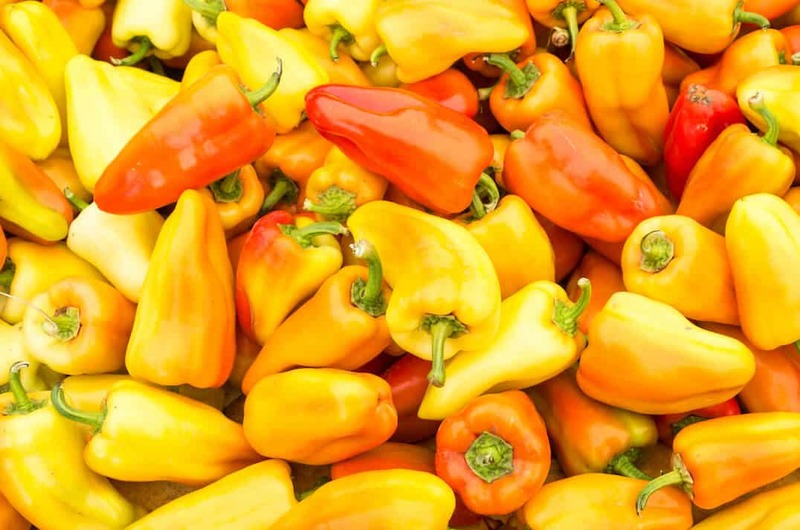 There is no heat to gypsy peppers whatsoever – a big goose egg on the Scoville scale, parked right next to its sweet pepper cousin, the bell pepper. 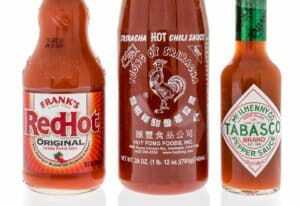 That puts them at 2,500 to 8,000 times milder than our jalapeño reference point. But you aren’t choosing gypsies for their heat. No, it’s their sweetness that matters. And if there was a sweetness scale, the gypsy would be near the top of it. The mature peppers have a blast of sweetness – almost floral in flavor. Few peppers can rival this complexity of sweetness, and it’s a big differentiator between it and the bell pepper. 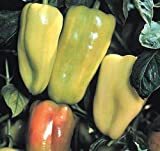 What do gypsy peppers look like? The gypsy sort of looks like a cross between a bell and a jalapeño. It has a long length (four to six inches), wide cavity, and lobes like a bell, but there’s a tapering shape to the pepper that resembles the jalapeño. And for those into food aesthetics, the gypsy is a must-know plant. 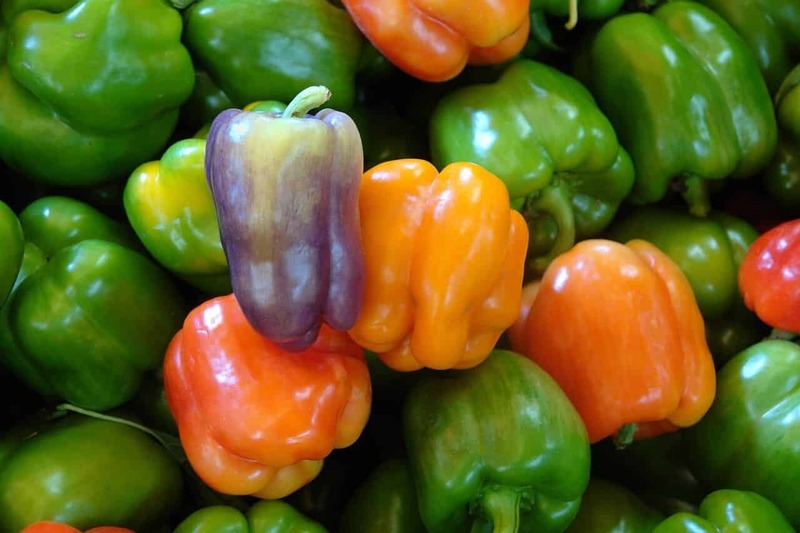 The fruits morph in color (and gain in sweetness) as they age, taking on multiple hues on the same pepper and the same plant. They start a whitish or yellowish green, age to yellow and orange, and reach full maturity with a mix of deep orange and rich red. 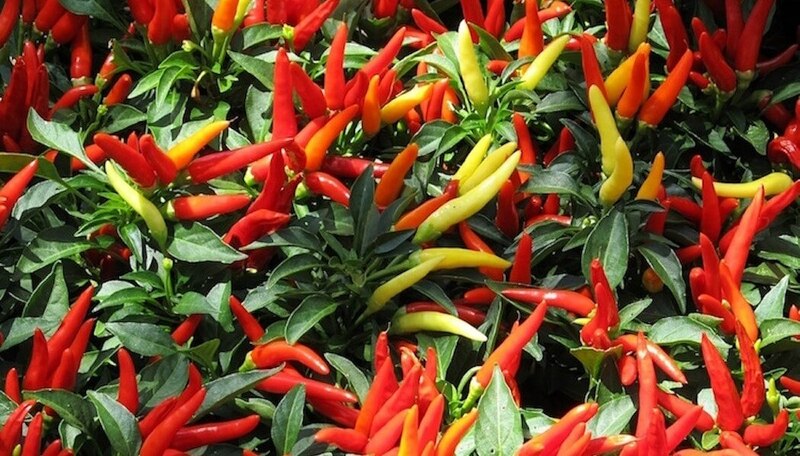 It’s a rainbow of color all on one plant, as the peppers reach maturity at different points, perfect for edible landscape gardening or container gardening with color pop. How can you use these sweet peppers? There are many culinary options with gypsies. As mentioned, their thin walls make them excellent frying peppers. Charred, there’s a delicious smoky sweetness that’s so good on hoagies or simply on their own as a side. Or you can opt to use gypsy peppers as you would a bell pepper. Those thin walls are just thick enough for stuffed pepper recipes, and savory meats and cheeses are delicious foils to the sweetness of the pepper. Let’s not forget simply eating them raw. Sliced up to top a salad or to serve with dip is an excellent choice. Gypsies have a more complex flavor than the bell, so they make for unique flavor pairings even when raw. Where can you buy gypsy peppers? 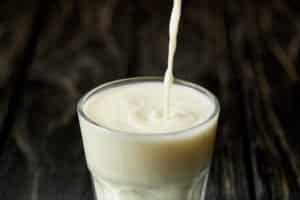 You may find them carried by your local grocer, especially on the West Coast of the United States. If not, check local farmer’s markets. If you have a green thumb, you can grow them yourself – gypsy pepper seeds are easy to pick up online or they may be available at your local gardening center. The gypsy pepper is not only packed with sweet flavor, it’s also sweet to behold. 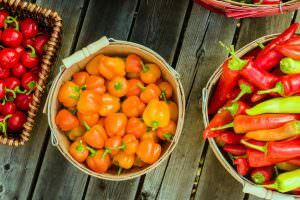 When you can, enjoy these peppers in the kitchen, but if you have any green thumb at all, consider them for your edible landscaping. 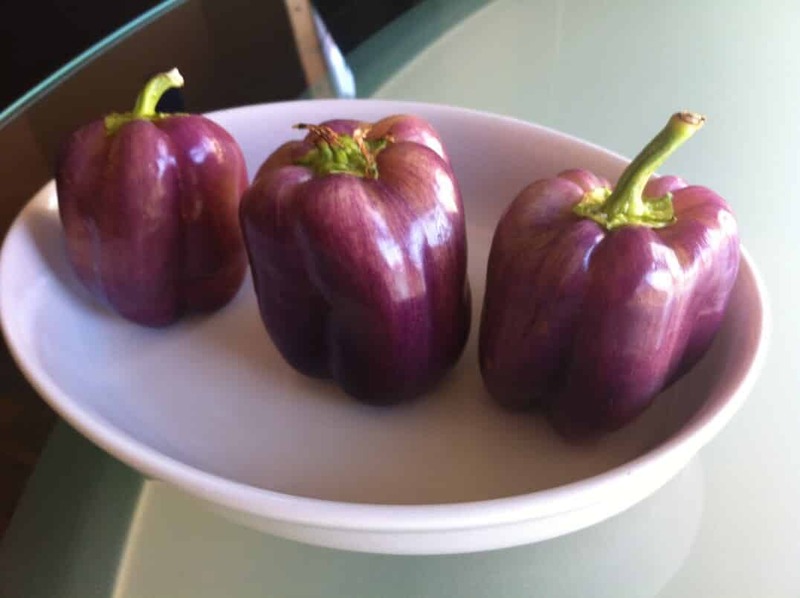 They may not be as jewel-like as typical ornamental peppers, but their muddled coloring as they age certainly catches the eye.